Cinematographer, Self-shooting Director and Post-Producer. Miguel was born in Lisbon, Portugal, where he started experimenting in Super-8 film at the age of 15. His career began in 1999 as cartoon animator, editor and VFX artist. In 2005 Miguel registered the trademark "ARTIMEDIA", and built a studio from scratch where his work as independent short film director, cinematographer and post producer has been featured in documentaries by Channel 4 and ARTE. He is also Known for Encontro com o Criador (2012) - camera operator, editor and VFX artist - and Virtually Happening (2017) - Director and Cinematographer. 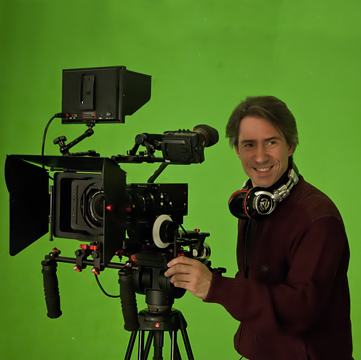 Miguel is based in the United Kingdom and graduated in MA Film (Cinematography) from Screen Academy Scotland. 18 years experience in indpendent Filmmaking. MA Film (Cinematography) Screen Academy Scotland. Production Safety Passport by Action Media Safety, Ltd.
Corporate and Fiction Shorts work featured in documentaries by Channel 4 (2016) and ARTE (2014).